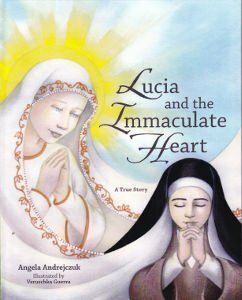 A true story, by Angela Andrejczuk, illustrated by Veruschka Guerra. A comprehensive presentation of Sr. Lucia's experiences as a young girl. Written for children, but a fascinating read for all ages. $14.95, full color illustrated hard cover.